Sarah Pierce won the Ray Hoagland Invitational on Sept. 23, the latest win in her successful high school cross country career. Last season, Cherry Hill High School East’s Sarah Pierce stormed onto the cross country scene. In her first season running cross country, Pierce won multiple races, including the South Jersey Group IV race, the Olympic Conference Championships and the South Jersey Open. This season, Pierce is looking for more success. She has started the 2017 season off well, earning a first-place finish at the Ray Hoagland Invitational at the Rancocas Valley Sports Complex on Sept. 23. Pierce did not run cross country during her freshman year. In middle school and her first year of high school, swimming was Pierce’s main sport. “I did track for two seasons in middle school, but I was more into swimming at that time,” she said. “I did swimming freshman year through fall and winter. Pierce enjoyed running track for the Cougars so much, she picked up running full-time and began competing for the cross country team for her sophomore year. Though Pierce had plenty of experience running distance races on the track, running on a cross country course was a new experience. One aspect Pierce had to pick up once the season started was the strategy of running races. Despite the challenges of learning the new sport, Pierce established herself as one of South Jersey’s best runners right away. 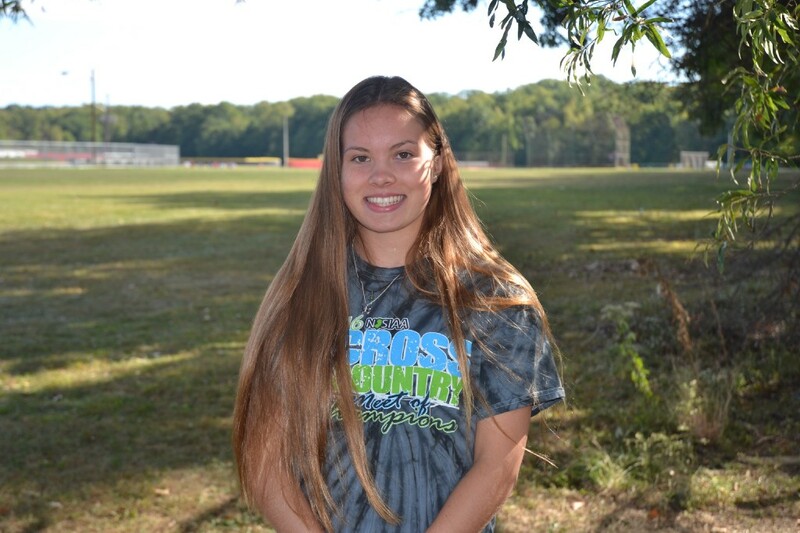 She got her time under 19 minutes in last year’s South Jersey Open win and eventually lowered her time to 18:05 in her South Jersey Group IV sectional victory, her personal best time in a high school meet to date. Pierce advanced all the way to the NJSIAA Meet of Champions last year, finishing 22nd in the season’s final meet. Entering 2017, Pierce wanted to improve on her confidence entering races. Pierce also had to overcome a couple injuries she’d suffered earlier this year. Pierce has suffered an iliotibial band injury and a broken shoulder so far in 2017. While the injuries set Pierce’s training back a bit, she was still able to come out strong at the start of the season. At the Hoagland Invitational, Pierce was the only female runner to record a time less than 20 minutes, winning with a time of 19:44.83. Rancocas Valley Regional High School’s Morgan Gallagher was the only runner to finish within one minute of Pierce. The following weekend at the South Jersey Open, running on the same course she won the sectional meet on last year at Delsea Regional High School, Pierce took third place with a season best time of 19:29.91. Pierce noted her times are slightly behind where she was at this point last season. However, she is confident her training will get her back into position to advance to states for the second year in a row. “Right now, I’m just kind of looking for times that reflect the training I’ve put in,” Pierce said.